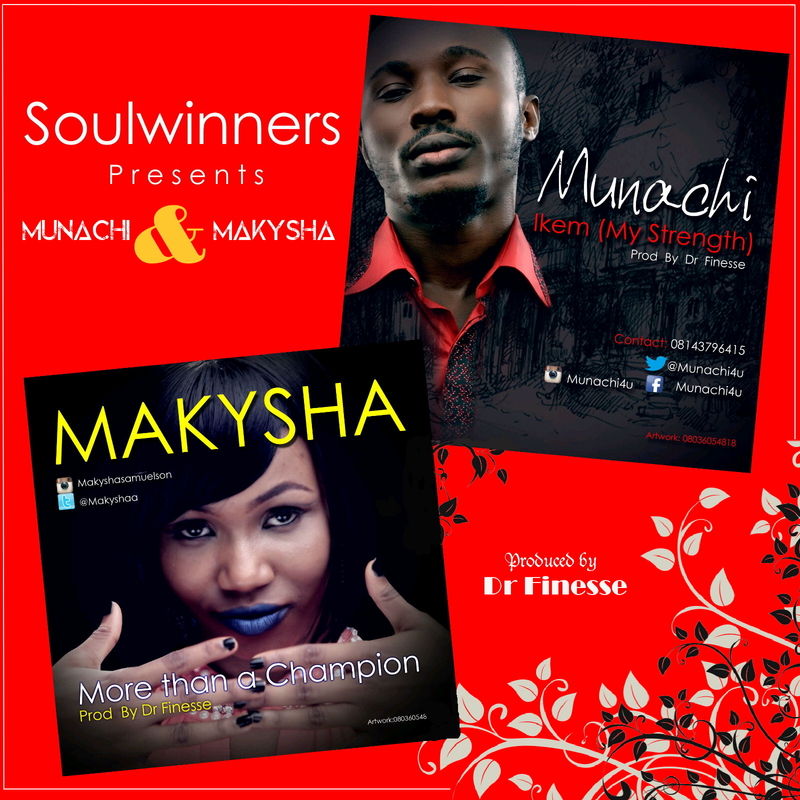 Soulwinners is a group made up of producer Dr Finesse of Mr Raw’s “Kpom Kwem” fame, Amstel Malta Showtime Season 3 winner Makysha and Enugu’s finest gospel act with a number of hit singles to his credit, MUNACHi. The group is out with its first effort – two singles from MUNACHi and Makysha respectively. “Ikem” (My Strenght) by MUNACHi acknowledges the protective wings of God in guarding and guiding His Children while “More Than a Conqueror” by Makysha tells the story of her life while chanting praises to God for victory. Munachi, formally known as Chinchilla Wene, who featured with his defunct group on Wizboyy's album while he was a secular artiste can boast of Gospel releases including “Onye Na Dum Ije”, “Chimsom”, “Authority”, “Justified” mixtape and the recent “Onye Meri” featuring Nolly. CLICK HERE TO DOWNLOAD "MORE THAN A CHAMPION"
Makysha is the winner of Amstel Malta Showtime Season 3. She was only 18 years old when her debut single “Dream Big” hit the airwaves. The sound, style & rhythm of “More than a Conqueror” are peculiar to Makysha’s music. CLICK HERE TO DOWNLOAD "IKEM"